Did anyone ever confirm if the 3DS has the same intolerable input lag as the PC/console versions? Not bad, plus some extra sales from e-capcom probably. I picked it up yesterday for 3DS and cruised through MegaMan 1-3 and some of the challenges. I swapped between the NA and JPN versions and I didn't really notice too much difference from the Virtual Console versions, at least not in terms of game-breaking lag. Rockman 3 had a few instances of frozen sprites and "shifting", but nothing catastrophic. I'd say it's worth picking up for the enhanced picture, the challenges, the bonus features, and if you're not quick of thumbs, there's the auto-fire feature. Pretty impressive considering it's a late collection of re-releases on a platform that already had the games for a long time prior. Couldn't have taken too terribly much for Capcom to make their ROI with this one anyway. Capcom should think about release rockman 11 and 12 -- a newest games. See ? Rockman is very popular in Japan. I am very happy but I will be happier if they decide to working on Rockman 11 and 12 with newest robot masters. It would be an interesting and awesome! I can only dream, can't I ? "The game is second only to Kamen Rider: Battride War Genesis." "Kamen Rider: Battride War Genesis"
It's not that impressive its a dead season with no real competition and even then the numbers are still really low. If Kamen Rider is number one that should just tell you something. 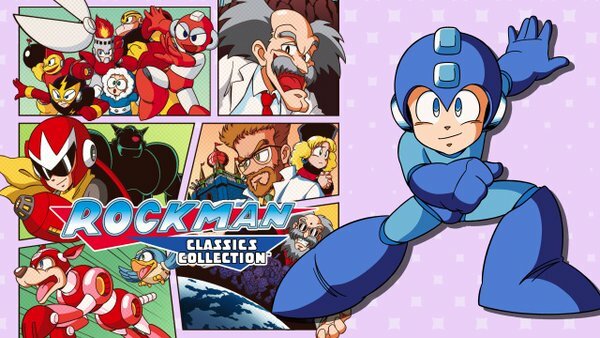 Rockman can't compete with main team game franchise not even a little, at least that is how it is in the past. As was mentioned, this is a late collection of re-releases on a platform that already had the games for a long time prior. This had no reason to sell at all. I guess you are right, but I thought supporting the cause was a reason. These are Japanese charts. I don't know how strongly they feel about "supporting the cause." Course I'm not sure Capcom deserves the support anyway, so I'm probably not the right person to comment on that. I wonder which region Rockman/Mega Man is generally more popular in. Most likely U.S just by virtue of size and relevance.